Now days there are so many devices that want our attention and a lot of them are worthy of it. I know that I enjoy watching television with my husband and learning new things. We did almost always have the problem of us being able to hear it. We have been looking around for something that was going to improve the volume of our television as well as improve the sound. 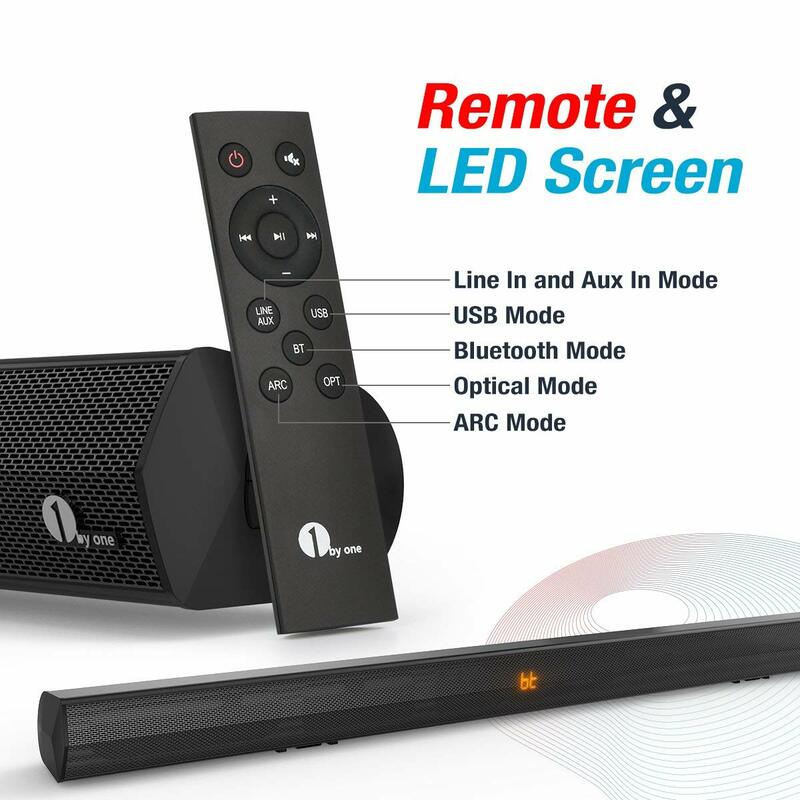 We were very excited that 1byOne sent us a new soundbar to review! It was such a simple fix to a problem that has bothered us for a while now. It was easily mounted onto the wall and my husband and son did it within about a half hour one evening. We simple then had to plug the cords into the television and add batteries to the remote. When we first turned it on we were blown away at the sound quality and at how simple the fix really was. The greatest part was yet to come however when my son wanted me to watch what he could do with the phone. This amazing sound bar has blue tooth capabilities that made it so easy to connect with my phone and all of my music was instantly coming out of the sound bar speaker. It reminded me of the days that we all had a stereo in our bedrooms. We are now able to hear our educational programs and even the programs that are not educational at all, and on top of that we are able to listen to our music while relaxing or working. 1byOne really did make it the most simple of solutions, two cords to plug in, two batteries to install, and two screws for the wall. The sound quality is so much better no matter what you are listening to, and the ability to listen to both music on our phones and on the television is a great treat! This was made to be the perfect addition to flat screen televisions that are mounted to the wall as it is just as streamlined as the TV. Nobody wants to put a speaker up and then have it look like an eye sore and take away from the great picture on your television. If you want to get more freebies, please sign up on Super User and official website, if you want to get more exclusive discounts, giveaway and fun posts, please like Facebook page. Previous post: SunRype Fruit Snacks and Christopher Robin the Movie!